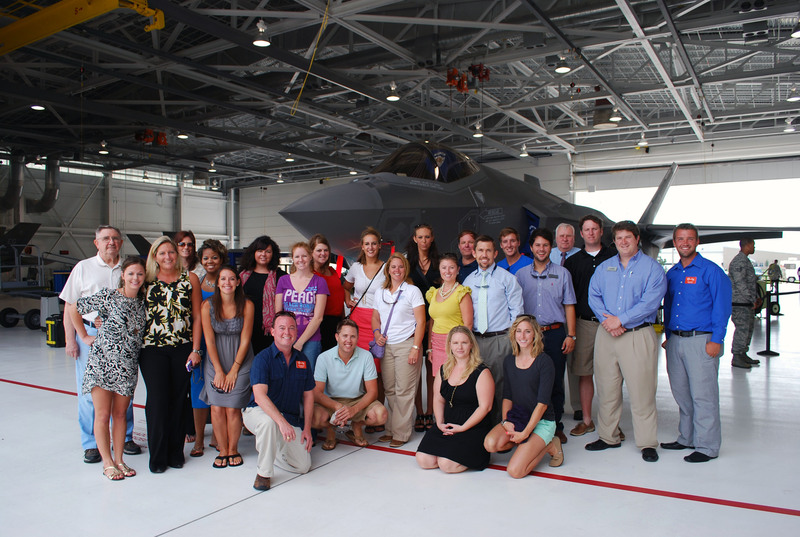 On Friday, June 15, 2012, members of YP@TB visited Eglin Air Force Base where they were given a tour of the F-35 Training Facility, Operations Building, and of course got to see the F-35 up close and personal (except no touching -- classified information). The first F-35 landed at Eglin Air Force Base carrying members of the 33rd Fighter Wing on July 14, 2011. Currently, Eglin houses six F-35s, but an expected 59 will be arriving over the next few years. The Joint Strike Fighter is the country’s first fifth-generation, multi-role fighter equipped with the latest technology. Multiple configurations are being built to suit combat missions of three different branches of the American military as well as allies participating in the F-35 project. Many locals don't realize that the nation's premiere strike fighter calls Northwest Florida it's home, but YP@TB members learned quickly of the reality that Eglin houses a jet that will ensure air dominance for the US for the next 30 years. Not only did YP@TB members get to see the actual jet, they were taken behind the scenes to see where pilots get briefed pre-flight, schedules are made, training is executed and even had the pleasure of meeting a few of the F-35 crew members. Just learning about what it takes to prepare one pilot for one flight is exhausting... no one could imagine preparing many pilots at one time. At the end of the tour, everyone was amazed at the elite programs happening at Eglin Air Force Base. Although no one got to wear the pilot helmet or jump in the driver's seat, everyone was thankful to be educated on the premiere happenings that are basically in our back yard. Young Professionals Swing their Way to Success! Golf has always been a game used to mix business and pleasure. 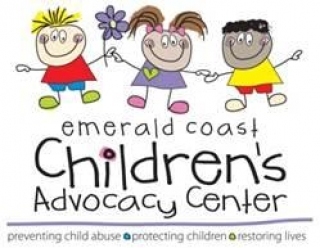 This year, young professionals can get a fresh introduction to the game and its benefits in regards to networking with the Summer Golf Corporate Challenge at Emerald Bay in Destin. 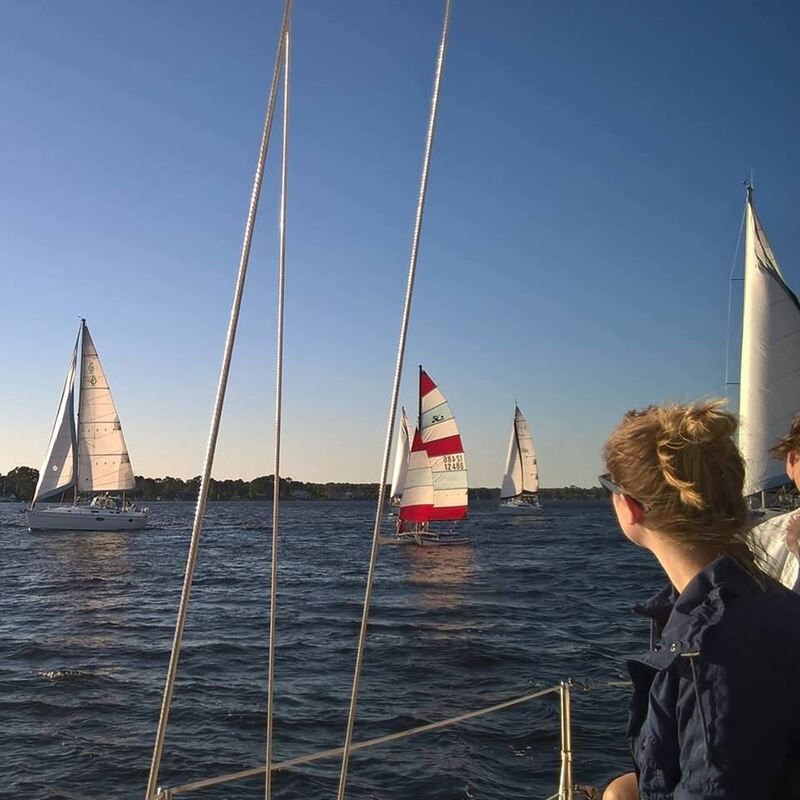 Young Professionals at the Beach along with Walton County Chamber of Commerce is hosting a networking, summer corporate challenge. They have asked companies to put together a two man team. Teams can play at 4:30 p.m. every other Wednesday starting June 15 and lasting until the middle of August. Participants will have the opportunity to play nine-hole golf, meet other professionals, and get fed. It's $30 per man to play. There are chances to win prizes as there will be a draw every Monday by the Golf Director. The more you play, the more likely you are to win one of the top three prizes. First place receives two, three-night stays with Southern Resorts Vacation Rentals, two free rounds of Golf at Emerald Bay, a trophy and champs T-Shirts. Second place will receive two, two night-stays with Southern Resorts Vacation Rental and a trophy, and third place will receive a trophy. Richard Lamar, operation manager for Southern Vacation Rentals, is involved with YP at the Beach, and is looking forward to the upcoming event. "I think it's a great networking opportunity," he said. "We're offering a different avenue to engage those involved. It's a time to meet new people." Jamie McIntosh, president of YP at the Beach, says they host the event because, "it's a way for us to provide a venue for young professionals in the area to network and grow professionally. McIntosh, 30, says that they got the idea two years ago when they were looking for networking ideas. "We think it is a noninvasive way of meeting people," he said.